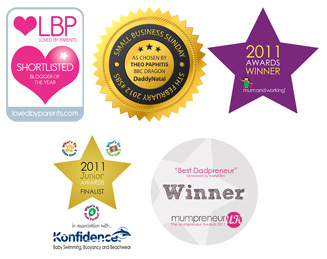 It has been a busy few months here at BabyNatal. As well as being founders of The Natal Company and the DaddyNatal and BabyNatal programmes, myself and Dean are husband and wife… or at least we are now, as we celebrated our wedding day back in October, in the company of family and friends. Many of those friends being people we have met over the years through our work, parents-to-be we once ran antenatal classes for, and colleagues who we are proud to now call members of our teacher network. Following our wedding, we honeymooned in Wales & the Wye Valley, along with our two children Oren (4 yrs) and Willow (3 yrs). We arrived home from honeymoon on a Monday afternoon, and by Monday evening I was at the very beautiful, quick and easy birth of a lovely couple as their doula. Ten days later I was meeting our November intake of BabyNatal teachers when I had a niggle… a niggle which just wouldn’t go away. Although it was still a full week before my period was due, instinct was telling me something. A quick pregnancy test was negative, but instinct would not budge… the next morning I got a very faint positive and by the afternoon, there was an undeniable strong positive, just over 3 weeks into the pregnancy. Even though we were hoping for number 3, even we were in a state of shock for a little while at how lucky we were, not just because it was our first try, but it would be a little honeymoon baby too. We told our children early on, it felt important that they were the first people we told. So much ‘advice’ warns against telling children early, but we listened to our instincts and did what felt right. They are being remarkably patient, understanding that it will be a long time before baby is here, and that there are key milestones they need to wait for before baby will arrive (measured in birthdays!) They already talk about baby as being part of the family and give bump kisses and cuddles. It is proving to be a fantastic opportunity for them to already start the bonding process with the new baby which is so important, but it has also has given them chance to start asking questions about birth and us being able to answer them positively. Shortly after we found out I was pregnant, the news story came out of the Duchess of Cambridge’s pregnancy and her hospitalisation due to Hyperemesis. This was at a time when I was still very early in pregnancy (about 4 weeks) and at the time I was anxious. I had experienced Hyperemesis with my second pregnancy, and like Kate, had ended up being hospitalised for a few days after weeks of being almost housebound through vomiting. I knew that sickness was likely to start around weeks 5-6 and was trying not to worry about what might be ahead. Like many who had suffered Hyperemesis, I was extremely anxious about how I would cope a second time with this illness, especially with two children, a company to run and a house move around the corner. This time around though, I knew I was better informed about possible options, and I decided to be as proactive as possible about doing anything which might prevent the condition developing. I knew it was not a guarantee, but that it could only help. With the support of Dean, I firstly started to avoid anything which could be a potential trigger for sickness. From experience, I knew tiredness and strong smells would make the sensations worse, so Dean did as much food preparation as possible (and kitchen clean up, which was just as bad) to deal with the smell issue, and on a morning I would also sleep as long as I felt I needed, nap as needed during the day (the benefit of mostly working from home) and then go to bed as soon as I felt I needed in the evening. Dean most often worked from home alongside me, so this made all of this possible, and meant he could do a lot of work involved getting the little ones ready on a morning, and deal with the weekend early rises. I also knew that stress was a big trigger for my sickness, and was conscious that all the worrying about getting sick, might be what made me sick! I practised positive visualisation every day, and used breathing exercises to stay relaxed when I felt waves of nausea coming on. I don’t know whether all of these things made a difference for sure (there is no real way to be certain) but amazingly despite periods of feeling nauseous (which while unpleasant were manageable) I did not vomit once. With our days full of work, moving house and Christmas the days flew past, and I even managed to eat a little Christmas dinner! The date for the first scan could not come around quickly enough though, and it was very special to see little Baby3 on the screen for the first time. Oren and Willow loved the chance to have a look at the scan photo and of course began the discussion about whether it was a little girl or boy! With the first trimester now behind us, I am pleased to report that all nausea seems to have passed! I still have some rather strong cravings for fruit juice, fruit and salads and aversions to meat and tea (?!) I might only be 17 weeks but bump is very evident now which is actually very nice when out and about teaching Natal classes! I can still sleep for England, but one of the benefits about working for myself is that I can structure my days around how I feel, so a slower start to the mornings and a little more work in the evenings while the little ones are in bed. Of course, the Natal Company are at The Baby Show this weekend, and it will be the first time I have been to the show while pregnant rather than with baby, so am looking forward to also enjoying the experience as a mum-to-be too. If you are visiting the baby show, why not come along to the stand and say hello! Myself and bump will be on our stand at P1 on Saturday & Sunday and I would love to meet any other expectant or new parents. Ill be blogging again about our journey through our third pregnancy, so expect the next instalment in about 3 weeks or so. If you are expecting and/or can identify with anything I’ve written about, please leave me a comment, as I would love to hear more. This entry was posted in Uncategorized and tagged antenatal classes, Babies, baby, babynatal, birth, DaddyNatal, Duchess of Cambridge pregnant, First trimester, honeymoon baby, how do I cope with morning sickness, hyperemesis, hyperemesis gravidarum, morning sickness, MummyNatal, postnatal, practical baby care, pregnancy, self hypnosis for morning sickness, The Baby Show, The Natal Company, third pregnancy by Dean. Bookmark the permalink.